The Maricopa Community Colleges Foundation (MCCCF) is pleased to announce that it is the recipient of a Silver CASE (Council for Advancement and Support of Education) Award of Excellence in Fundraising, for its targeted Campaign for Student Success. The award, given by CASE District VII, annually recognizes excellence in membership organizations by showcasing the best practices in advancement services, alumni relations, communications, fundraising, public/government relations, diversity and special events. 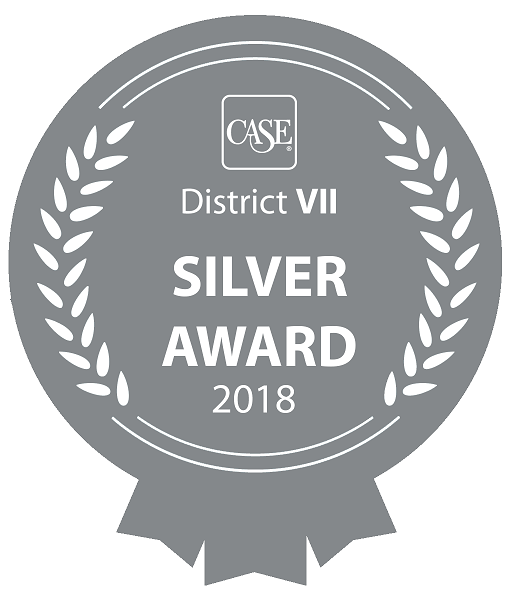 CASE District VII received over 500 entries in 13 categories and 66 sub-categories. Only 192 awards were given. Launched in 2011, the Campaign for Student Success for the Maricopa Community Colleges was developed to support student success in three areas: direct support of students; faculty and staff innovation, creativity and excellence; and assisting community partnerships with expanding opportunities. This $50 million non-capital campaign was unprecedented in the history of the Maricopa Community College District and may be the largest in US history, at a community college Foundation. The Foundation sought the support of alumni; past and current staff; individual, corporate, and foundation leaders in an effort to secure the $50 million. MCCCF used creative and unique strategies to ensure the Campaign’s success, including the “Power of 10” which represented the 10 Maricopa Community Colleges and their engagement in the Campaign, using a shared vision while still maintaining individual campus needs and culture. In the summer of 2017, the Campaign for Student Success exceeded its goal by raising $50,678,167 from over 5,000 donors, including individuals, corporations and Foundations. An awards luncheon will be held Friday, March 2, 2018 at the CASE District VII conference in San Francisco.